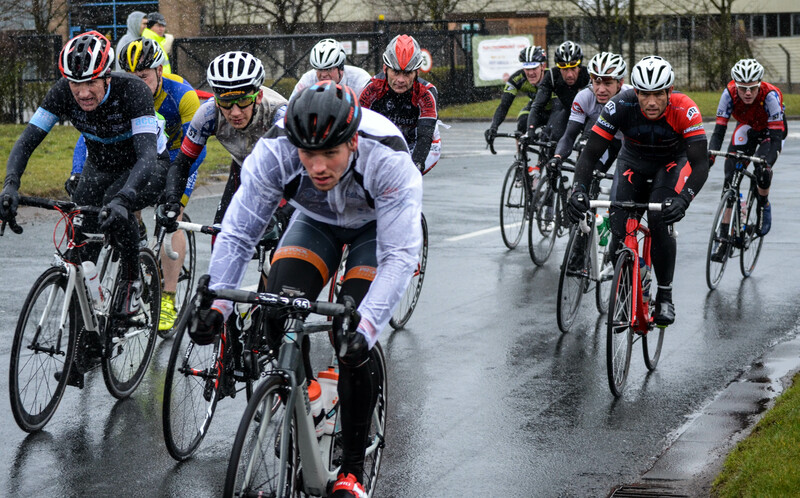 St Helens CRC #Pimbo Road Race – Ouch! That Hurt! 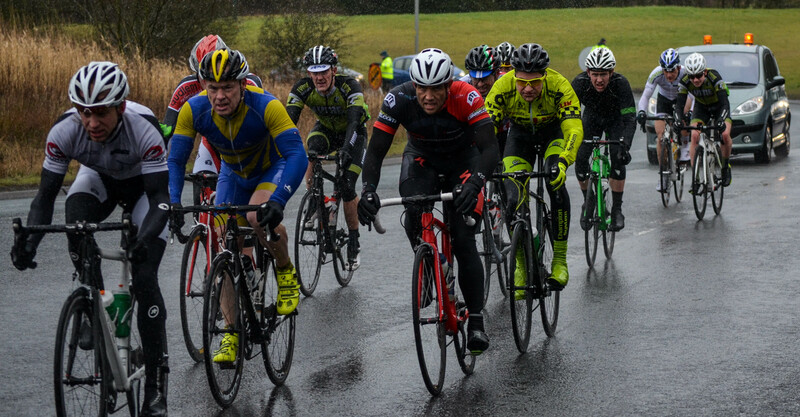 Today Team Chronomaster took part in the St Helens CRC Pimbo Road Race. Myself, Kris and Si took part in the E123 race while Paul flew the flag in the 3/4 race in the afternoon. 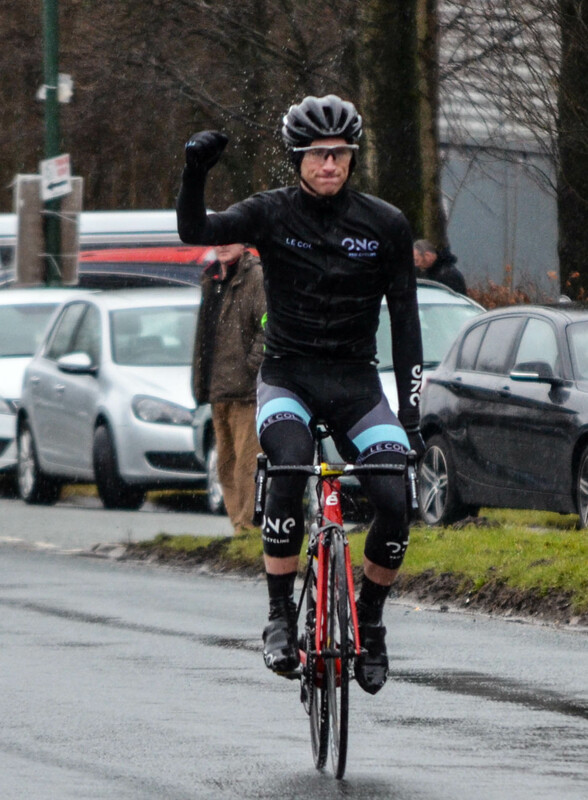 The first race, E123, was won by Pete Williams from One Pro Cycling. Anyway, enough of the excuses. Waking up this morning staring out the window into the cold grey drizzle they call spring did not really fill me with excitement. I had breakfast and an espresso, put my Tarmac Expert and VO2 kit in the car and headed to Skelmerdale. As I drove over the drizzle turned into rain and where I could see some sun earlier on there was only dark grey clouds. A wet first race of the season, great! When I got to the Race HQ I signed on and headed to the race course where I pinned my numbers on and went for a warm up ride. I’m not sure how much warmer I got because it was still raining and it was cold. The flag dropped and we were sent on our merry way in lovely British Spring weather. From here on I thought I’d just hold on for dear life. I saw Kris and Si up front and thought I’d just sit tight. I had no idea if I had racing legs or not, although I did say the day before I’d like to go for a prime or two..
Alas! It was not to be. By the time we hit the 5th lap for the prime I was happy to be riding. I won’t say it was overly hard. Yes there were bits where I could feel I had to push a bit but my legs felt good, not good enough to sprint with the big boys but good none the less. About an 45min I was getting really cold. Every time I stood up to pedal and used my arms they felt numb with the cold, almost stiff. This mixed with cold hands made getting hold of a gel rather interesting. Hurtling along at 27mph in a bunch of nervous riders trying to pull a gel from your back pocket with hands that can’t feel is interesting to say the least. 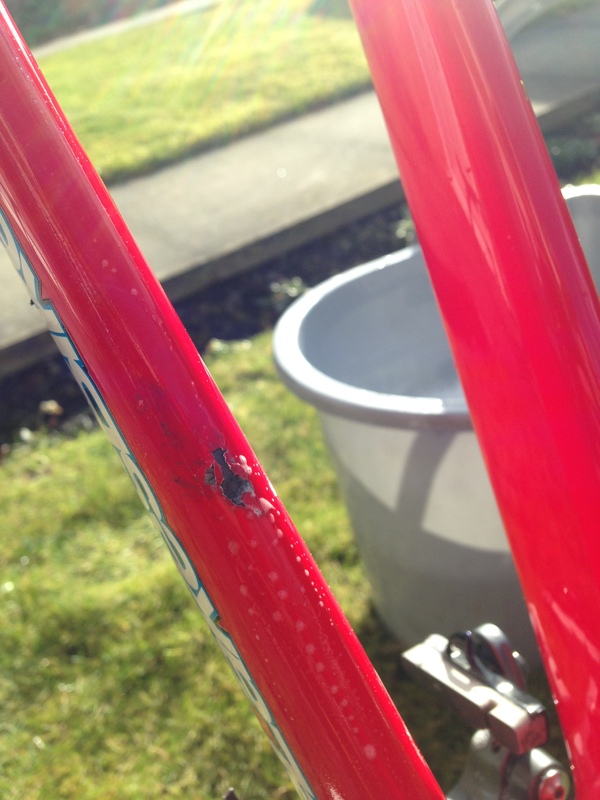 At least I managed to get out a gel – small victory of the day! As we were going round and round I started getting my racing head back on again. Not only that, I realised where the wind was coming from most of the time so I could hide from it. It was a trade-off though. Hide from the wind and you’ve got to contend with some interesting riding by others and get cold or waste energy. I went for the former. Not before I got hung out to dry though. As we went onto the back straight a couple of riders shot off the front and it seemed no one was chasing. I was just getting my placing right when I noticed I was going quite a bit faster than the bunch so I just kept on going and off the front I went chasing some riders in the distance. The glory was short lived though as when we turned the next corner the wind was there to greet me. Looking over my shoulder I could see a train of riders on my wheel and I could also feel my legs getting heavy. Eventually I was swallowed by the bunch and almost spat out the back (big difference racing E123 and 3/4, with the latter you can do stupid stuff and still get round, the former not so much). From here on all I wanted to do was finish. The normal surges came and went until around 5 laps from the end when a select few went off the front and built a bit of a lead. Then things settled down a bit which was good and bad. It was cold and when you’re not pushing hard your body gets cold and I was getting really cold now. I was shaking and had to concentrate to control my breathing. And then, the bell rang. Last lap and I was expecting a massive surge however it did not come. It seemed like everyone was just happy to get round. We turned the second last corner and the pace increased. I was moving up on the left hand side, a couple of bike behind Kris when BANG! Someone went down to the front and left of me. Approaching at speed I could see the carnage unfold but like Moses through the Red See everything was happening on the left and I somehow seem to have passed straight though.. or so I though. Another rider on my right went down, why I don’t know but he did and his bike ended up right in front of me. I had no chance! I t-boned his bike and became a flying human, for a while anyway. Mother earth called me back and I answered to her call. It hurt! As I went down I could see bikes coming my way but luckily no one hit me and I bounced back up, picked up my bike, got my chain back on and rode off while some guys were rolling on the floor. I just wanted to finish. I felt like I got this far I may as well get as high a finishing position as I can. I finished, don’t know where but I did. It was cold and wet and me and my bike are a bit bruised but hey, it’s racing and we love it! Kris finished in the bunch and Si had to pack in half way. He said he was so cold he was shaking uncontrollably. Oh and the rain? Well, it stopped when our race stopped. Nice huh? Next week is Saighton and I hope the sun shines! I will also try to keep the rubber on the black stuff. It was my first road race of the season as well and as always, a bit of a wake up for the legs. As I was the only rider for the team in this race the first thing I looked for were riders I knew would be strong to keep an eye on in the race. I picked out Mark Dziobon and Tony Workman as I have trained with both before. A quick rider briefing and the flag was down, off we went. One lap in and the attacks started. I stuck close to the riders I planned to watch and waited for them to go and on lap 11 Tony Workman made a move and I jumped as well – we got away. I felt pretty strong but the efforts started to hurt. We kept going and got a gap of about 15 seconds however it did not last long and we were chased down and back in the peloton. My previous experience on this course is that it usually ends up in a bunch gallop, so the aim for the remainder of the race was to try and stay safe and in a decent position for the sprint. On the penultimate lap there was a massive pile up which I narrowly missed and I managed to stay with the front group. Once we came round the last bend I had 3 riders in front of me and they quickly died away which left me to slog it out to the finish. The up hill drag in the wind left me with too much work to do and crossed the line in the bunch. 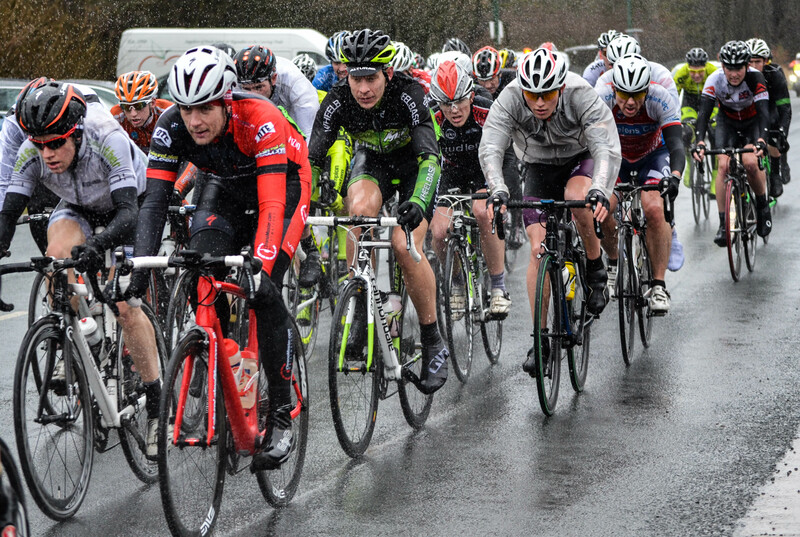 This entry was posted in Results and Reports and tagged Crash, Paul Beech, Si Deplich, St Helens CRC #Pimbo Road Race. Bookmark the permalink.